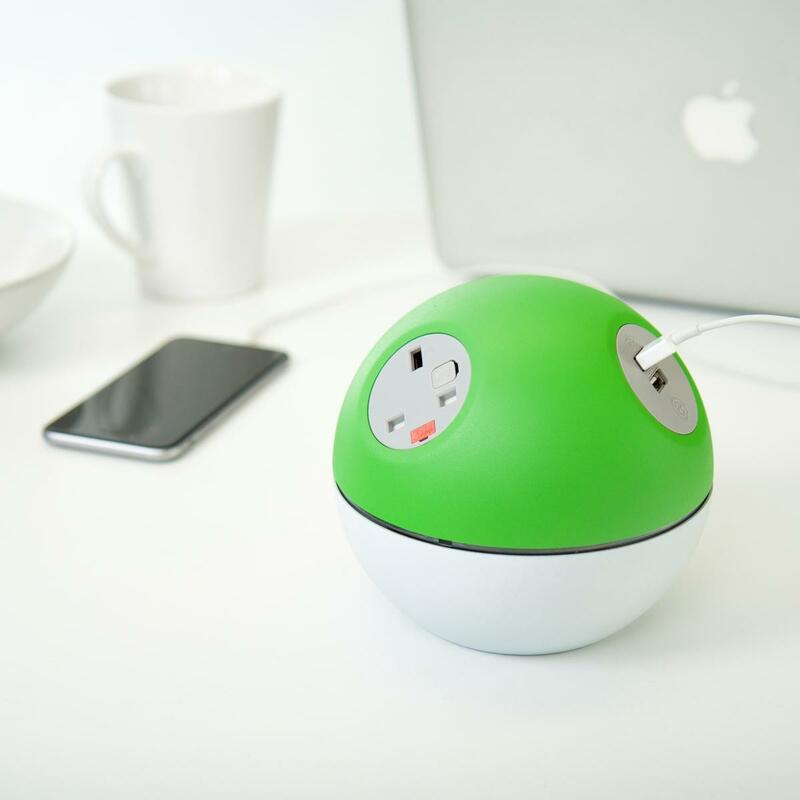 Smart, innovative power related products for the discerning UK and International buyer. Product description, specifications, installation/fitting details, availability, ordering, delivery & returns, and rentals can be found by scrolling down the page. Please feel free to message us about this product at any time. 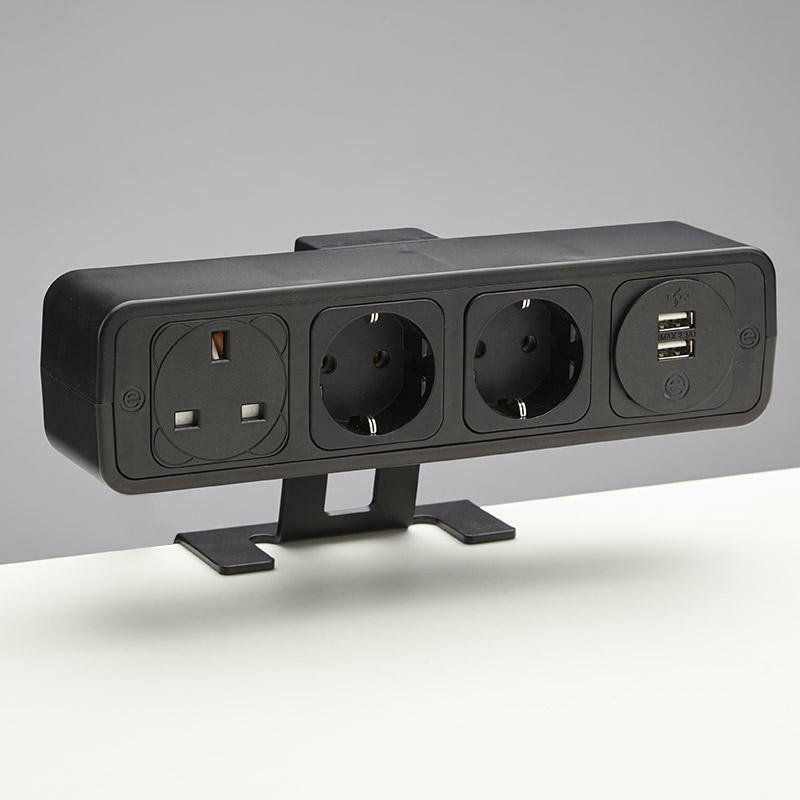 Compact and stylish desk-top unit proving flexible modular power distribution; ideal for desks and screens. 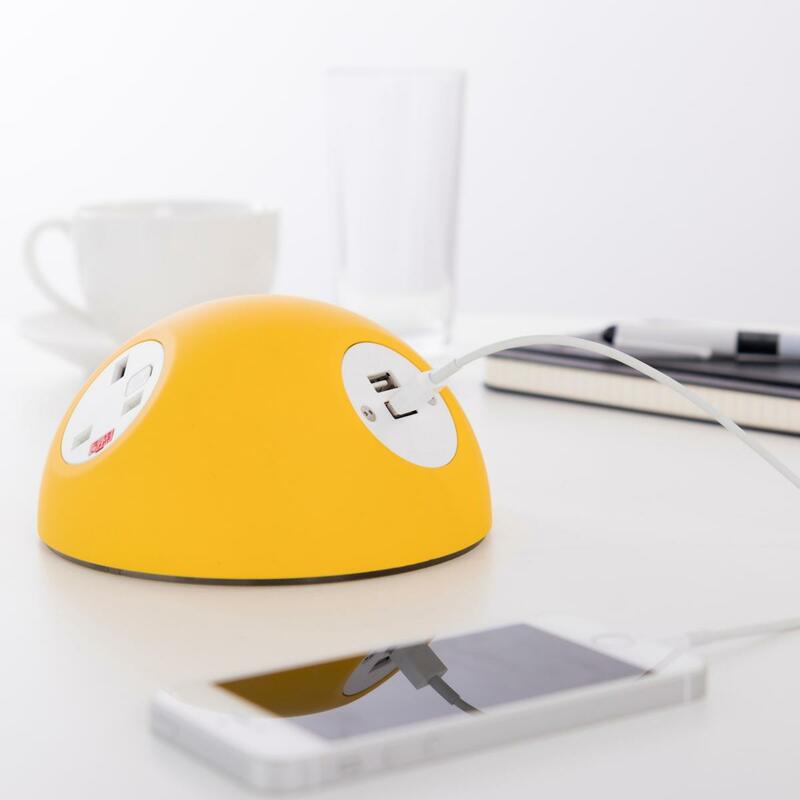 Looking for something bold and alternative in desk top power module design, then look no further than our top selling PULSE unit. 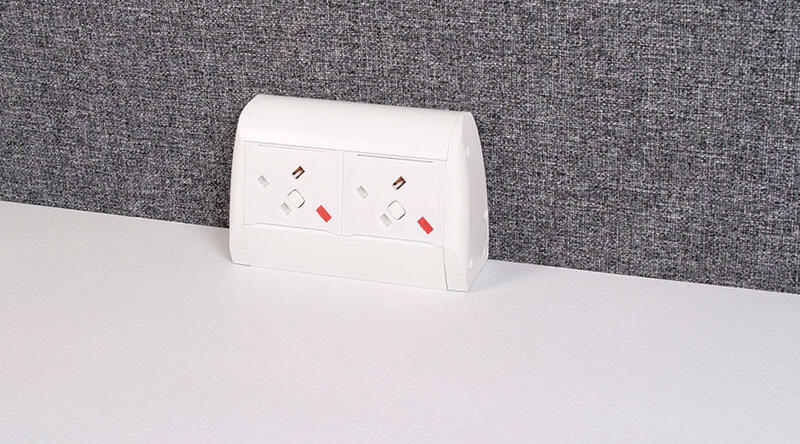 Moulded in impact resistant and fire retardant ABS, the standard white or black body is complemented by standard grey or black power sockets. 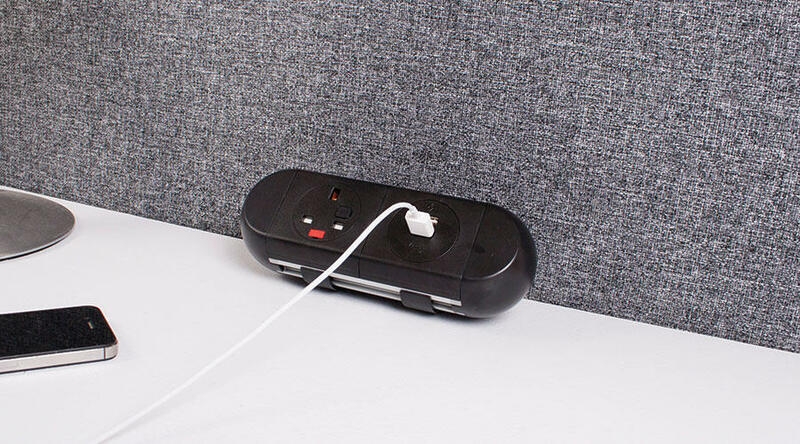 Although majoring on style with its unique “floating” look, Pulse is ideal for large scale international office projects needing a full range of desktop power connectivity. 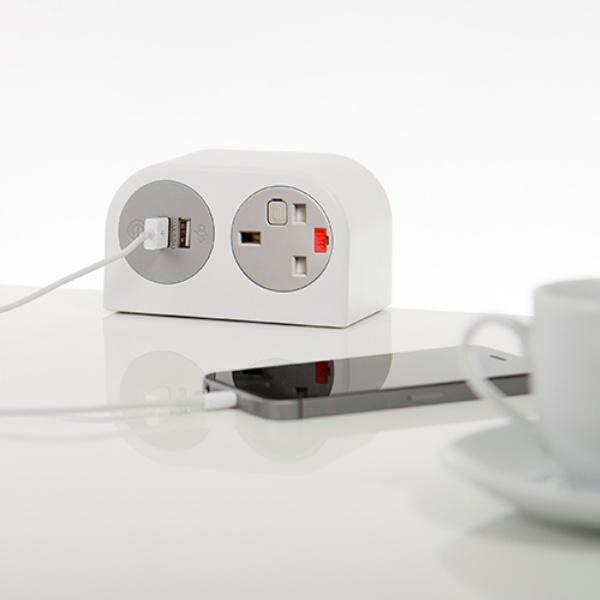 PULSE can be specified with wide range of OE Electrics modular power sockets including the class leading OE TUF5 Twin USB fast charger. In addition multiple bracket options allow PULSE to be fitted to desk tops, screens, tool/equipment rails and many other locations. 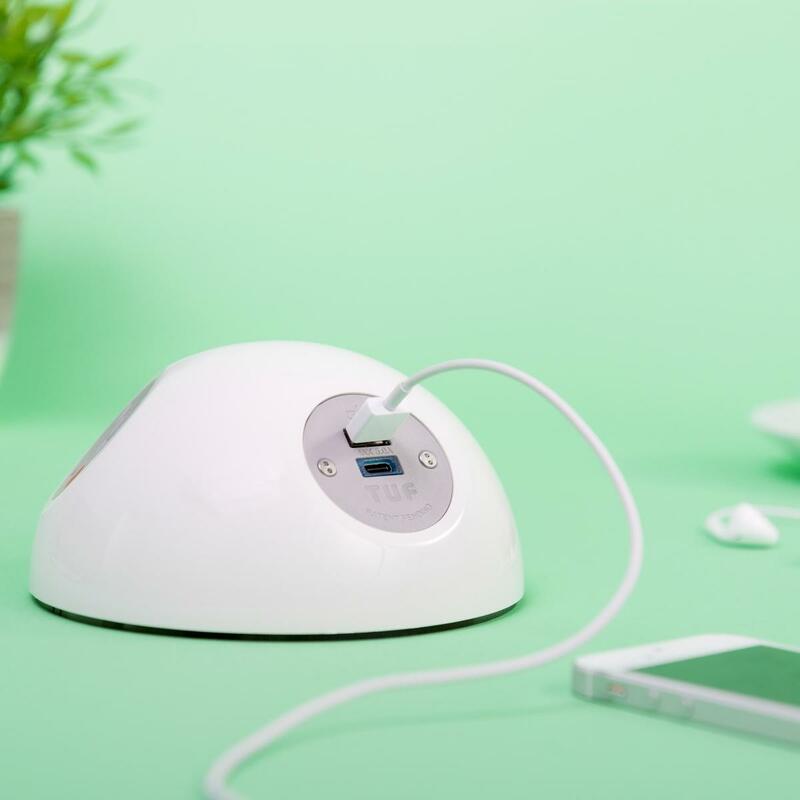 PULSE is moulded in fire retardant ABS. 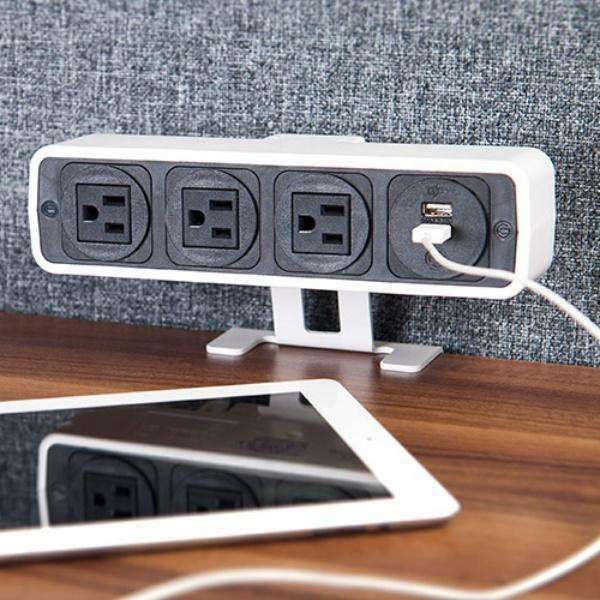 PULSE’s 4 socket apertures may be configured with a combination of the following AC power options from the OE 53mm range or the class leading OE TUF5A:Twin USB Fast charger. 360deg socket access. 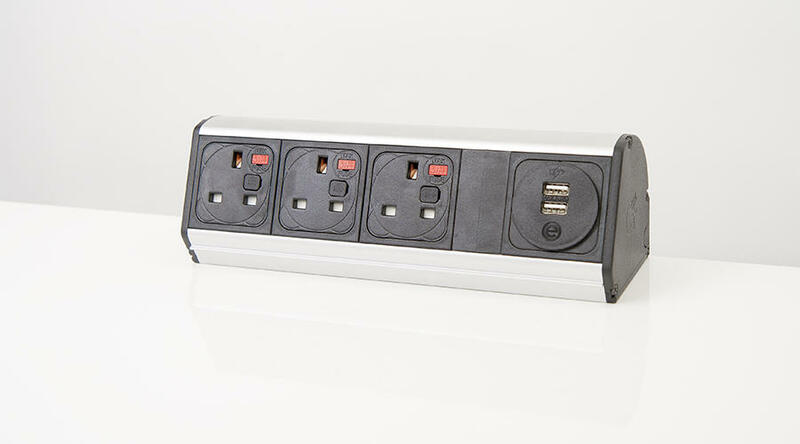 All PULSE units are manufactured using ISO9001 quality controlled components and practices and are 100% electronically tested before dispatch – visual configuration and appearance, continuity, polarity, insulation & earth, and the output voltage and resistance if TUF-R (A+C) 5A are fitted. 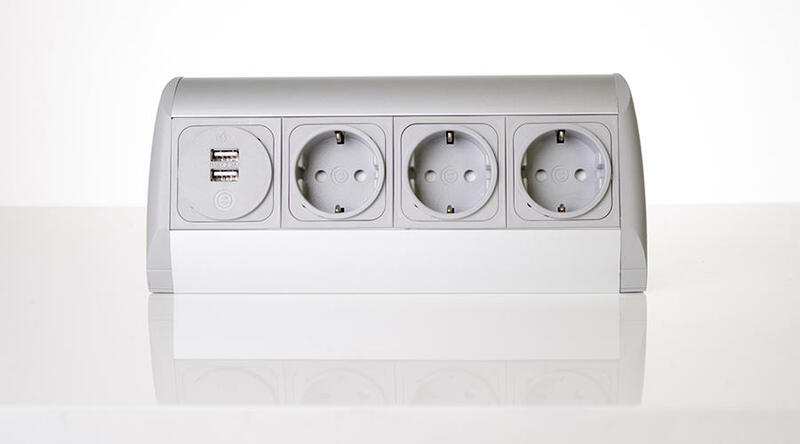 All units built with UK and European socket types are CE marked by OE Electrics as complying with: Electromagnetic Compatibility Directive 2014/30/EU, Low Voltage Equipment Directive 2014/35/EU RoHS2 Directive 2011/65/EU. 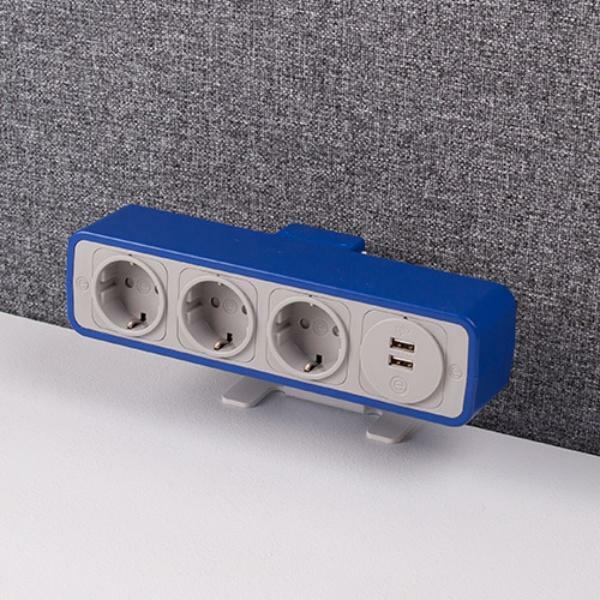 PULSE is supplied as standard with a powder coated steel desk edge bracket (same colour as body) with screw clamps for 5-35mm desk tops and slot for attaching a laptop security cable. 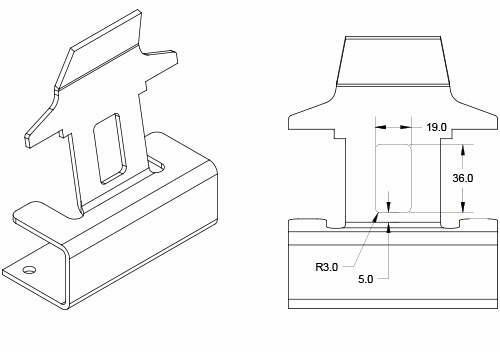 Other fixing options include an “extended” clamp bracket for desk tops up to 55mm thick, plus tool/equipment rail brackets. 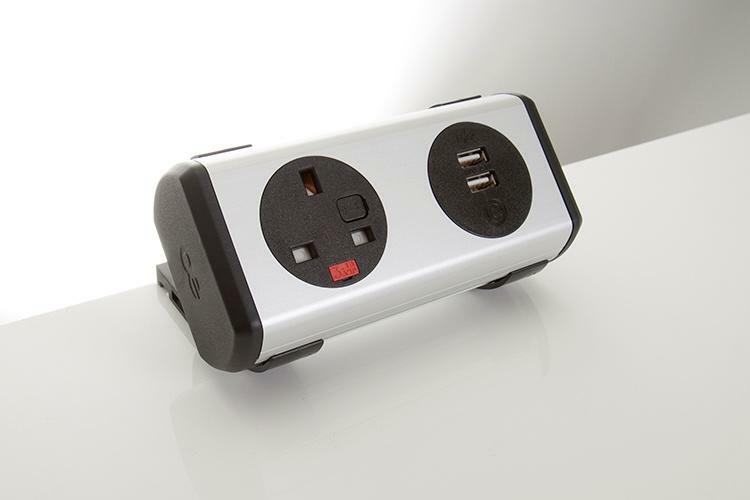 The actual voltage of the unit is determined by the plugs and sockets fitted and the location of use. 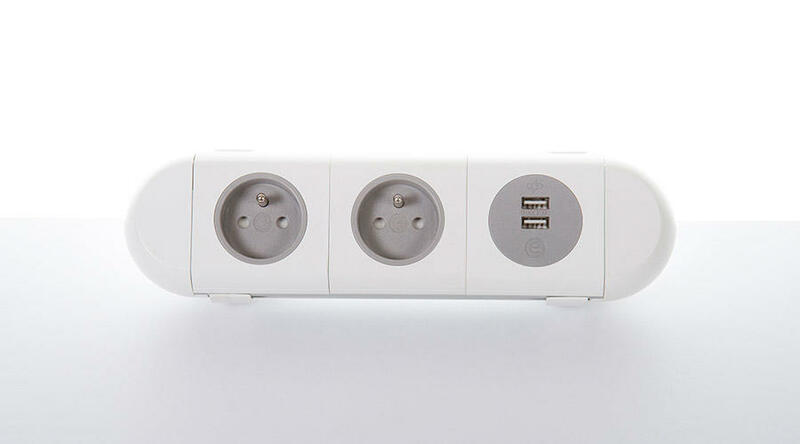 The actual current rating is determined by the plugs and sockets fitted and the location of use. This product is ‘made to order’, so please note; it cannot be returned for exchange or refund. Available for delivery throughout the UK, most of Europe, USA and Canada. 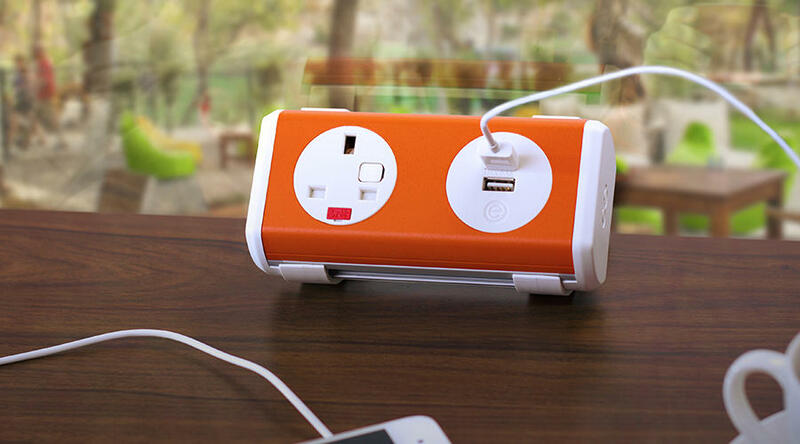 UK Standard delivery is 10 - 14 working days with this product via DPD. UK Express delivery is 7 - 10 working days with this product via DPD. European and International delivery is subject to different timescales depending on country and location in country. Again, we must reiterate that this product cannot be exchanged or returned once ordered. Please contact our rental division at Fulcrum to discuss your requirements; via our message app, email to rentals@fulcrum.uk.com, or call +44 (0)330 330 9901.